Here at Co-Optimus we’re most excited about the announcement that the campaign can be played completely in Co-Op. In the video below the Co-Op bits can be found starting at 1:05 with the developer also covering the number of characters (0:19) and the terrifying wildlife (1:35). Far Cry 5 was originally scheduled for a very early 2018 release (Feb) but got pushed back late 2017 just a smidge and is set for release March 27, 2018. Since the early part of the year can be a bit sparse in game releases, having an entry in a series that is known for its depth and density will *fingers crossed* be the perfect way to warm up 2018 for many more releases to come. Our review of the previous entry, Far Cry 4 can be found here. In the review Jason Love said “Far Cry 4 feels like the next step in the FPS genre for creating worlds that have depth to them; not only in the characters with whom you interact, but the environment itself. Wherever you go in Kyrat there’s a sense of history and purpose.” so we are hoping for that same feeling going forward. If you plan on playing on PC, you're in luck, too. 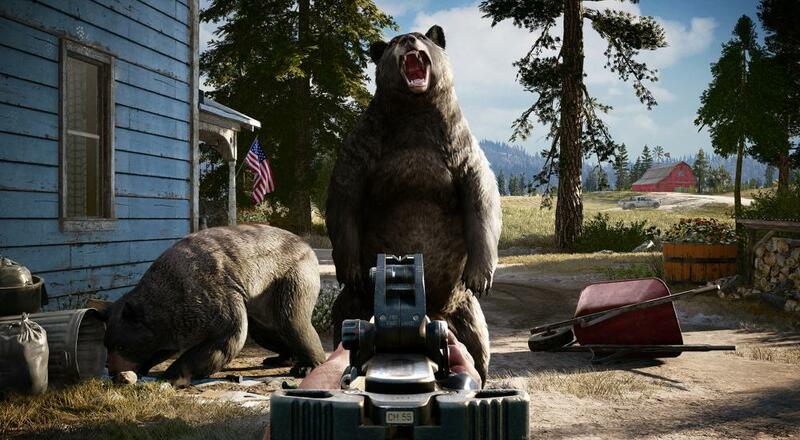 Ubisoft has recently announced the required and optimal specs for Far Cry 5. Ubisoft gave the minimum, recommended, 4K and 4K at 60FPS specs all available to be read in depth in their blog here. Will you be jumping into the cult-heavy world of Far Cry 5, or has the series already lived past its prime? Let us know in the comments below, and for all other things Co-Op, stick with your friends here at Co-Optimus.com.